Sold by Cloudtail India (4.5 out of 5 | 73,202 ratings) and Fulfilled by Amazon. Gift-wrap available. In exchange for her lucky leopard's claw pendant, Binya acquires a beautiful blue umbrella that makes her the envy of everyone in her village, especially Ram Bharosa, the shop-keeper. Ruskin Bond's short and humorous novella, set in the picturesque hills of Garhwal, perfectly captures life in a village, where both heroism and redemption can be found. Coupon: Save 10% with this coupon. 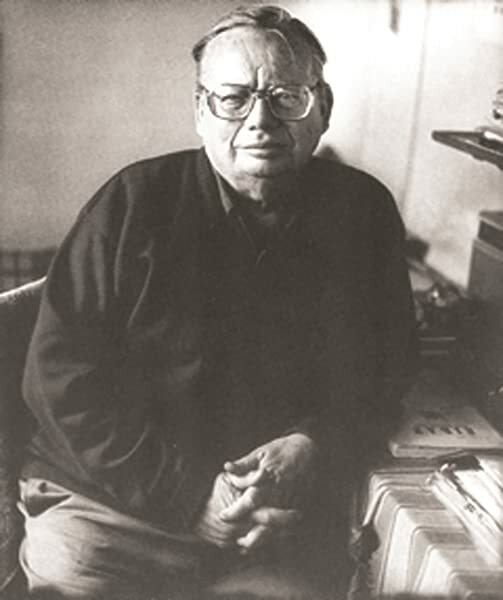 Ruskin Bond's first novel, The Room on the Roof, written when he was seventeen, won the John Llewellyn Rhys Memorial Prize in 1957. Since then he has written several novels (including Vagrants in the Valley, A Flight of Pigeons and Delhi Is Not Far), essays, poems and children's books, many of which have been published by Penguin India. He has also written over 500 short stories and articles that have appeared in a number of magazines and anthologies. He received the Sahitya Akademi Award in 1993 and the Padma Shri in 1999. Start reading The Blue Umbrella on your Kindle in under a minute. 4.0 out of 5 starsA must have. The Blue Umbrella is a short fiction written by Ruskin Bond & published by Rupa Publications. The author’s first novel, The Room on the Roof, written when he was 17, won the John Llewellyn Rhys Memorial Prize in 1957. Since then he has written several novellas, essays, poems & children’s books. He has also written over 500 short stories & articles that have appeared in a number of magazines & anthologies. He received the Sahitya Akademi Award in 1993 for Our Trees Still Grow in Dehra, a collection of short stories & the Padma Shri in 1999. Our protagonist of the story is Binyadevi or Binya as she is called by everyone from her village. She lives a simple life with her mother & elder brother Vijay or Bijju. One fine day she acquires a beautiful bright blue umbrella from some picnickers who came at the hills of Garhwal in exchange of her lucky leopard’s claw necklace. The story beautifully revolves around how she gets attached to the umbrella while a shopkeeper named Ram Bharosa eyed on it & plans to acquire it somehow. Ruskin Bond is one of my favorite author of all time. His simplicity in writing the stories just sweep me away. I’m so glad I picked up this small book which refreshed my mind totally. The characters have been etched as ordinary as one can get & that’s what makes Bond’s writing mesmerizing. The language, cover & title, everything is on point. 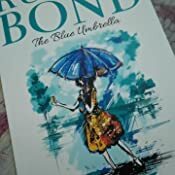 The Blue Umbrella is a novella by Ruskin Bond, wherein he weaves a beautiful story of an ordinary village girl Binya and her love for the blue umbrella. Binya traded this beautiful blue umbrella for her only possession, a leopard claw necklace. So, this story is basically about the struggles of Binya to keep the umbrella safe from everyone and how she ended up giving it to someone out of a sudden realisation. A heartwarming tale of a simple village girl and the characters revolving around her. They have their own share of flaws and through a process of self scrutinization they finally overcome it. 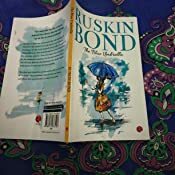 Using his simple yet extraordinary style of narration, Ruskin Bond manages to surprise his readers at the end and the impact he leaves is beyond words. 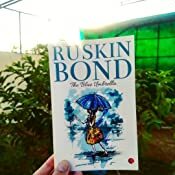 The book is by Ruskin Bond ,hear he tells the story how a poor village girl was gifted a blue umbrella and how much she fell in love with it and how she took care of it. Very nice story, I recommand everyone to read it. 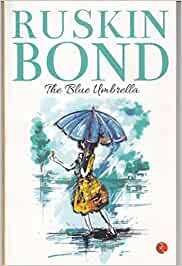 The Blue Umbrella by Ruskin Bond is a children’s book. The story is short and simple but elegantly touches the core aspect of humanity - kindness. Through Binya Ruskin instils a sense of kindness among children. It also teaches us one important thing "ख़ुशी लेने से ज्यादा देने में होतीे है".It is an amazing read for all. 5.0 out of 5 starsJust awesome. I am new to English language books. So, just want to try out some random books to start my journey in English literature. Found it randomly in Amazon with such a less price. At first I was little shocked to see how tiny and short book it is. But as I start reading it, oh my my...such a beautiful story of a hillside girl. There is nothing extraordinary but it's all about those minute details that the writer protraied with so much affection and in such delightful way. For all those story lovers and who want to start their English literature journey this is a must book written in so simple language that you don't need to look up to dictionary everytime. This is more of a long short story. The print is so big that the number of pages has probably been doubled to what it would be in a normal small print book. 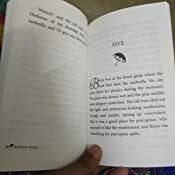 Nevertheless, the big print makes it easier for children to read and it is a nice story for children, the themes specified without overt moralizing. I loved this book . Another brilliant work by Ruskin Bond . And no matter how much we grow up we would always love books with pictures and those pictures were so beautiful .. And the story was brilliant .. how simple the story is and yet it has a deep meaning .. After such a long time I read a beautiful story .. the narration is beautiful ..